Personalized, unique gifts for all ages and occasions. Create your one-of-a-kind Woodgroove gift now. Handmade in the USA! 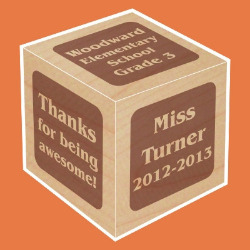 Recognize a favorite teacher with this thoughtful, personalized gift. Include school specifics such as school name, year, grade, teacher name, initial. 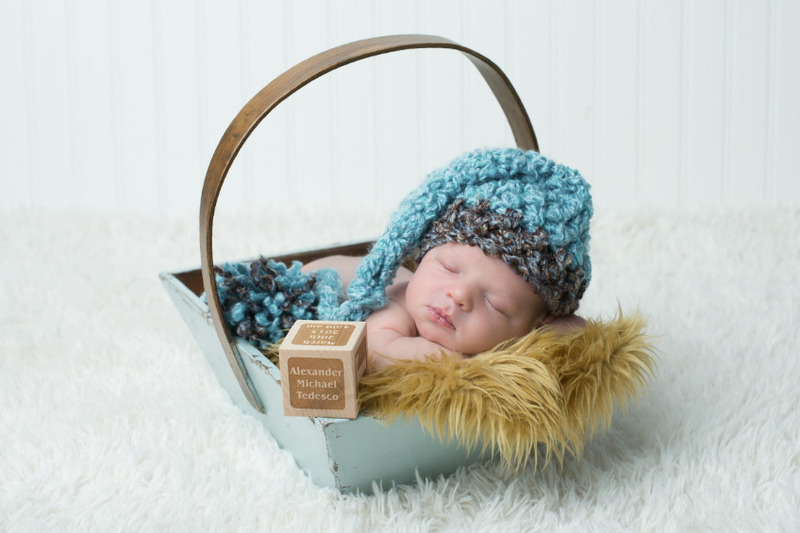 Celebrate your newborn with a unique, personalized keepsake. 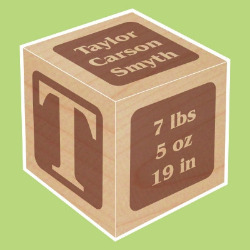 Displays baby's name, initials and birth details. A treasured keepsake for families. Honor team members or clients with a one-of-a-kind gift of appreciation. Personalize with company logo and achievements. I was beyond thrilled when I opened this. Not only was it wrapped in a little box with pink and blue fancy shred, it looked amazing. It was larger than I expected which is always nice. The quality and look made me fall in love with it. I'm certain this will be an heirloom gift for the baby, that the family keeps forever. I chose this for my son and his wife's 5th anniversary because of its "wood" theme. The block arrived faster than I thought it would, and was somewhat larger than I anticipated, which, to me, was a plus. The letters and graphics are clear and are well made. We are happy with it. My daughter-in-law said she loved the personalized gift. We already were working on blocks for our teachers, but then saw the one for music - a nice idea for our teacher whom we've had for 6 years. We were able to customize it with sayings we knew he would appreciate. Then that gave us the idea to also gift our teachers for art and gym, the librarian, nurse, principal and secretary. 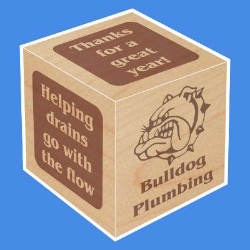 What a great way to leave a memento of personalized thanks. Great service!